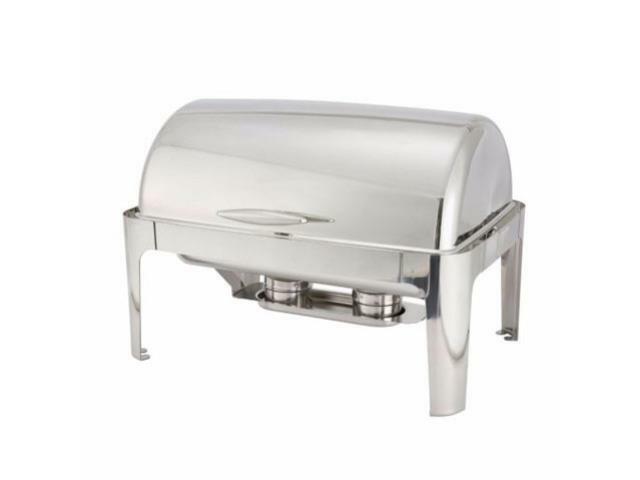 Stainless Roll Top Chafer - 8 Qt. This chafing dish accommodates a 2" deep insert pan. Insert pans rented separately. Sterno sold separately.